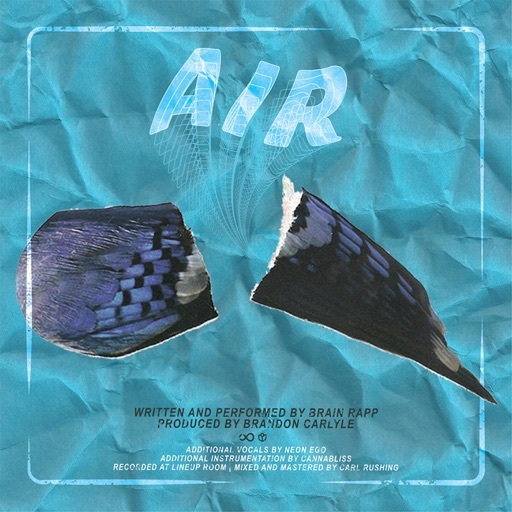 Home / brain rapp / DMV and Beyond / DMV Hip-Hop / fly / hip-hop / leaving the nest / music / new music / New SOTBMusic / SOTBMusic / New SOTBMusic: Brain Rapp Flies on "Air"
A little while ago, Brain Rapp said that he was pushing his movement even further. Specifically, he stated he wanted/needed to push his music and movement outside of the DMV. Brain took on the role of a bird ready to venture out into the world. On "Air," we get a continuation of that motif. Brain decides to take flight and leaves the branch. It's the perfect song for someone aiming to expand his range and circle of influence. Brain's lyrics and beat selection are always high points. Here, we're given another element: Neon Ego's gospel-esque hook, that is equal parts inspirational and motivational (they are kind of different, believe it or not). When that hook is combined with Brain's step-by-step playbook for expansion and evolution, we're given a smooth banger that has "graduation season" vibes written all over it. Check it out below (via song.link) and remember to support dope music in all its forms.